New for 2019! David Wolfe Design is introducing four new sizes of Air Poppets to improve our product offering and better service our customers. First, we are offering two new sizes of our popular DSL SERIES. These are shorter versions of our 1/2" and 3/8" poppets to better accommodate retrofitting existing molds with failing valves. Also, we are offering two new sizes of our METRIC SERIES poppets. We now offer a wider range of METRIC POPPET sizes that include 8, 12, 16, 18 and 20mm. New for 2018, we are making available a SUMMO JACK tool. The tool is to assist those who choose to rebuild their SUMMO & SUMMO-II Air Poppets. It is sold separately from the REPAIR KITS. 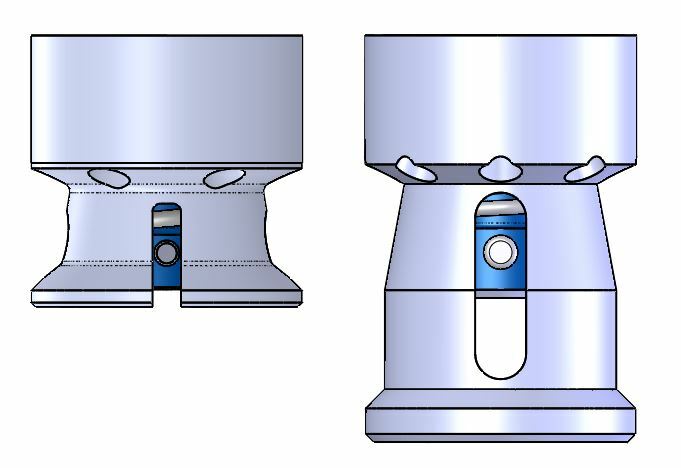 The SUMMO JACK is used to preload the spring inside the air poppet relieving the pressure on the cross pin, making it easier to both remove and re-install. Effective March 1, 2016 all Summo and Summo-II air poppets will come with a 40 micron sintered metal air filter standard. 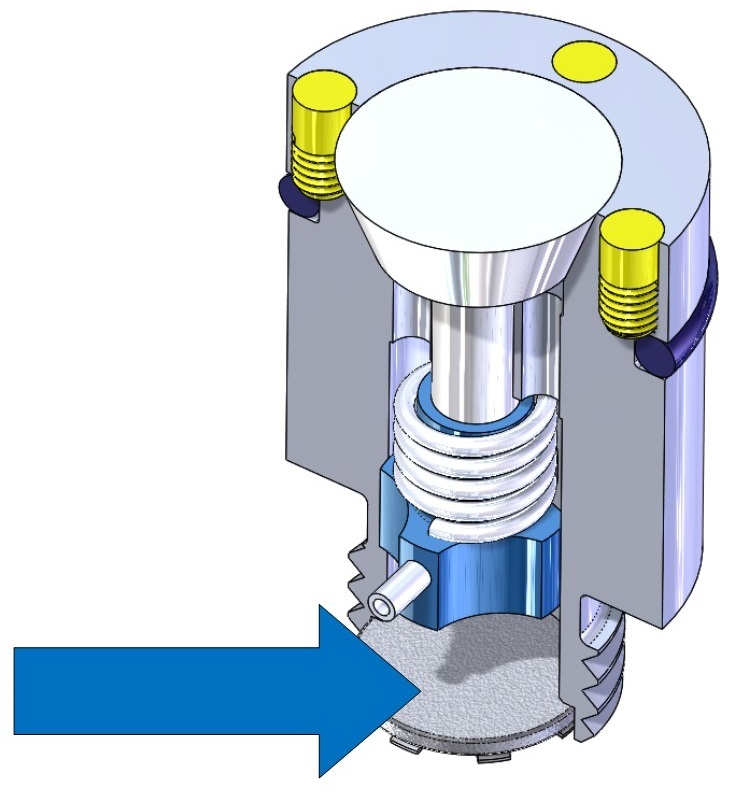 The filters are designed to reduce the chance of rust, metal chips, dirt, or other contamination from the air lines or the mold from entering into the poppet valve, and prohibiting the poppet from seating properly. Replacement filters and retainer rings can be ordered separately in combination packs of (5) sets. If the filters are not desired or need replaced, pry the retainer ring out and either break or pry out the sintered metal air filter. NOTE: The filters and retainer rings will only fit DWD SUMMO & SUMMO-II poppets sold after March 1, 2016. 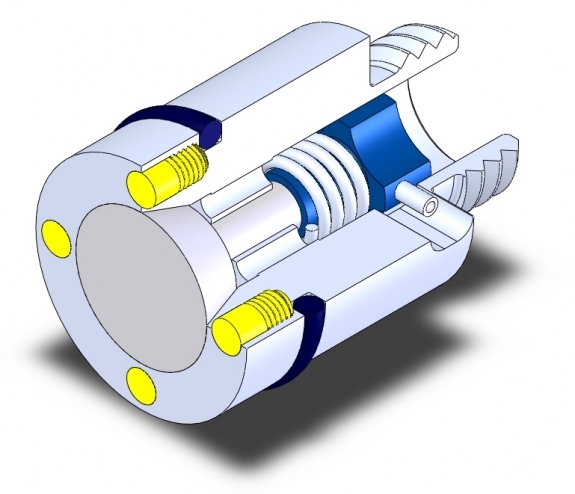 Machined aluminum thread inserts are used to mold Kelch® style threads on rotationally molded parts. 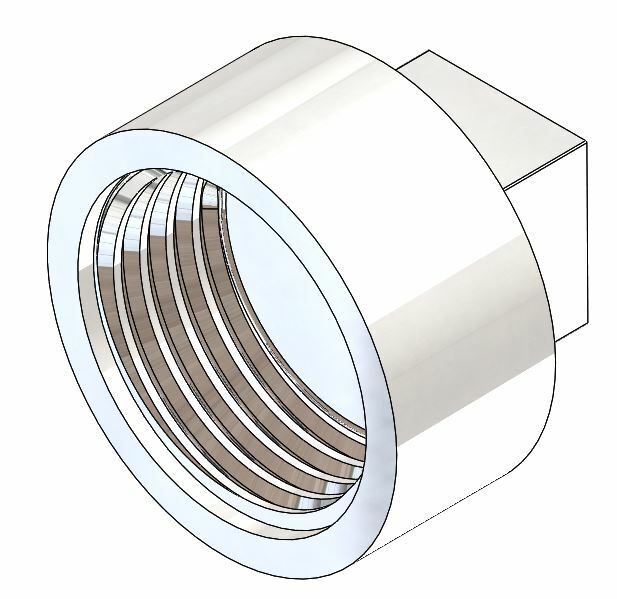 Our inserts are precision machined from 6061 aluminum and come in a variety of sizes and shrink factors. Blanks are kept in stock for quick turn around on custom orders. Click here for complete ordering information. 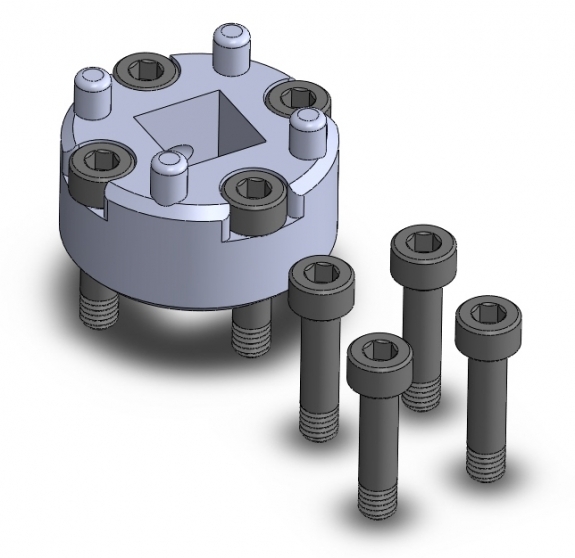 In response to customer's requests, David Wolfe Design now offers mild steel threaded inserts to plug the spanner wrench holes in the SUMMO-II Air Poppets. These may be used in place of the brass inserts which may not be compatable with all molding resins and in-mold coating systems. Click here for prices and ordering information. The David Wolfe Design SUMMO-II Series air poppets have been developed after years of feedback from our customers. These poppets have the same robust inner construction as the original SUMMO Series. However, the spanner wrench and removal system has been improved to meet customer expectations. 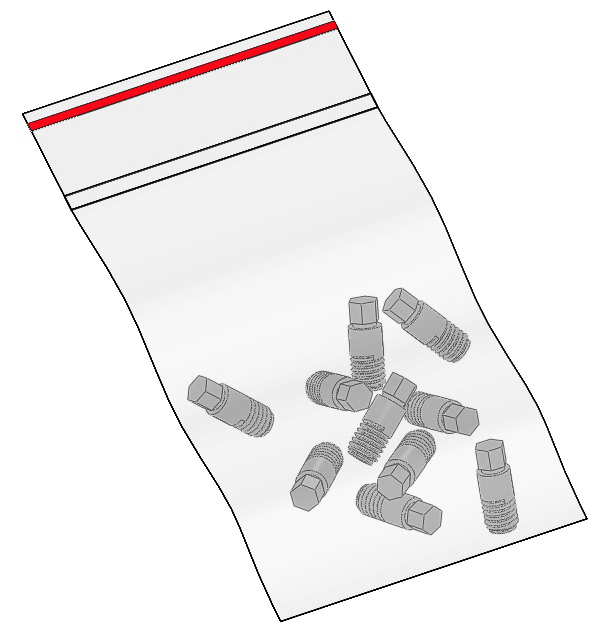 The SUMMO poppets are most often used in heated compression molds. Components in these molds have been known to bind up in their respective holes because of the constant heat fluctuation, condensation, and or resin contamination. Likewise, many times the mold maintenance is being performed while the mold is still in the press and heated to its operating temp. 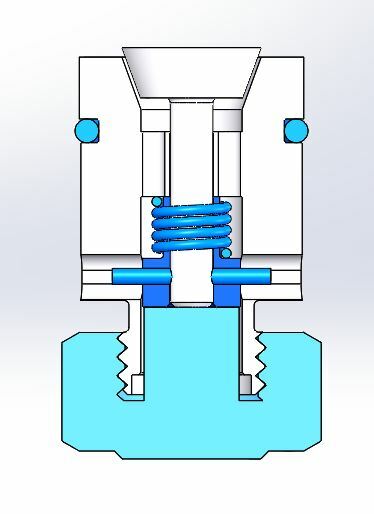 The SUMMO-II Series allows for a mechanical attachment of the spanner wrench to the poppet which in turn gives the mold technician more positive control while removing the poppet. This also provides for greater torque opportunities. For a complete description of all of the SUMMO-II Series components including the poppet, spanner wrench, custom length bolts, and replacement threaded inserts, download the PDF literature here.